Just spotted that I can do polls on the blog! How exciting. Oh, I’ve removed the ability to check the results so far – makes it more fun! 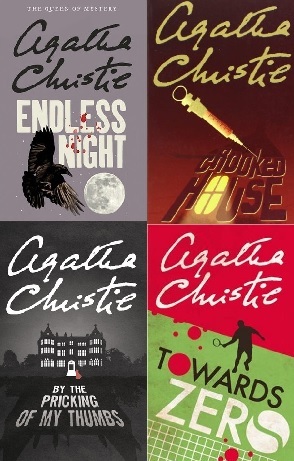 If you want a reminder about some of these books (only three of them, actually) then do take a look at my Agatha Christie bibliography. UPDATE: Round Two, Round Three and Round Four are up now – and they’re even trickier to call than this one. Thanks for the mention. 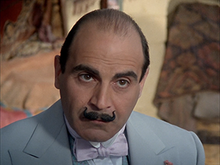 Your first round of Poirot voting is certainly a difficult one as it has two of my favourite Poirot novels in – The Murder of Roger Ackroyd and The Murder on the Orient Express. My brain literally went ‘arghhhhh’. But on reflection I decided to go with TMORA as the technical innovation in this novel is so sneaky and so good, it deserves to be put through to the next round. Just remembered to put an actual link to your post in. Whoops! 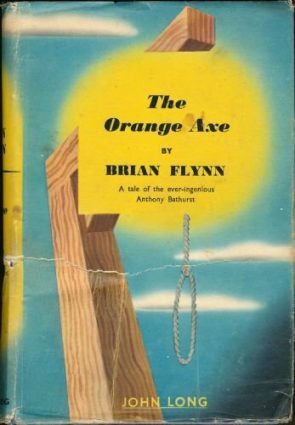 Retrospectively I can see how the crime is not necessarily plausible but it was the early days of crime fiction reading and I just got into the setting and the characters. Not that I’m going to say how I voted but I completely agree with you. Peril may be a bit obvious – see the review – but it’s one of the books that got me hooked on Dame Agatha in the first place. Orient Express was my second Christie and first Poirot, so it holds a special place in my heart – and yet I did not vote for it. Thank you for creating this poll, PD! Hang on, it seems to be back! Vote now!